The IsoMist XR features an improved thermodynamic design allowing operation of the spray chamber across a wider temperature range (from –25C to 80C) with a faster cool-down. 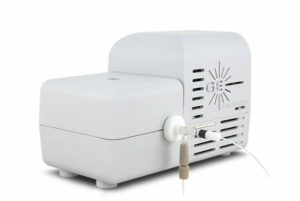 The temperature of the sample introduction system has a profound effect on the analytical performance of an ICP and controlling that temperature has many benefits. On the IsoMist XR, the temperature is controlled using a powerful, inbuilt, multi-stage thermo-electric peltier device, packaged in a compact, easy to use design. Any temperature between –25C and 80C can be selected in increments of 1°, allowing the optimum conditions for any application to be used. The IsoMist XR can be controlled from a PC through a Bluetooth® wireless interface or USB cable. It uses the Twister cyclonic spray chamber, combining excellent sensitivity and precision with exceptionally fast washout. • Introduction of the sample at sub-ambient temperature reduces oxide formation in the plasma, resulting in fewer interferences and improved detection limits for most ICP-MS applications. 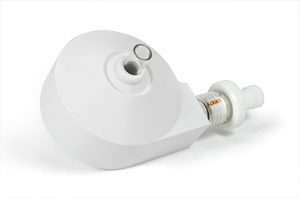 • The –25C minimum operating temperature reduces the solvent load on the plasma, allowing direct ICP-MS or ICP-OES analysis of even the most volatile organic solvents such as naphtha and gasoline. • Maintaining the spray chamber at a constant temperature significantly improves long-term analytical stability. • For many ICP-OES analyses, sensitivity is enhanced by running the spray chamber at an elevated temperature, which is particularly important for limited volume samples.